I think we finally completed the yurt. 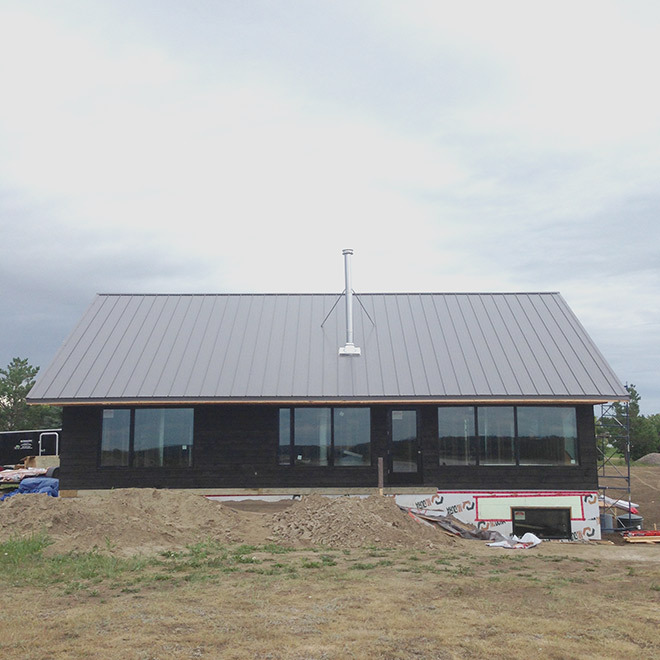 After putting the whole thing together a few weeks ago we still had to put all the finishing touches together. 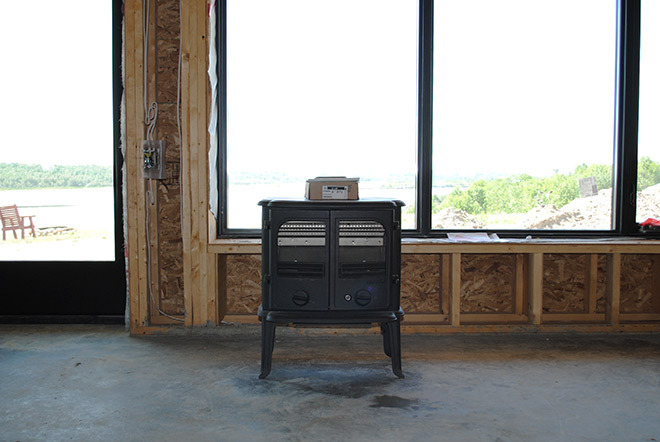 The biggest thing left to do was install the wood burning fireplace and chimney. We actually bought the fireplace a couple months ago – before we’d even received the yurt. We knew we were getting a 15 foot diameter yurt. 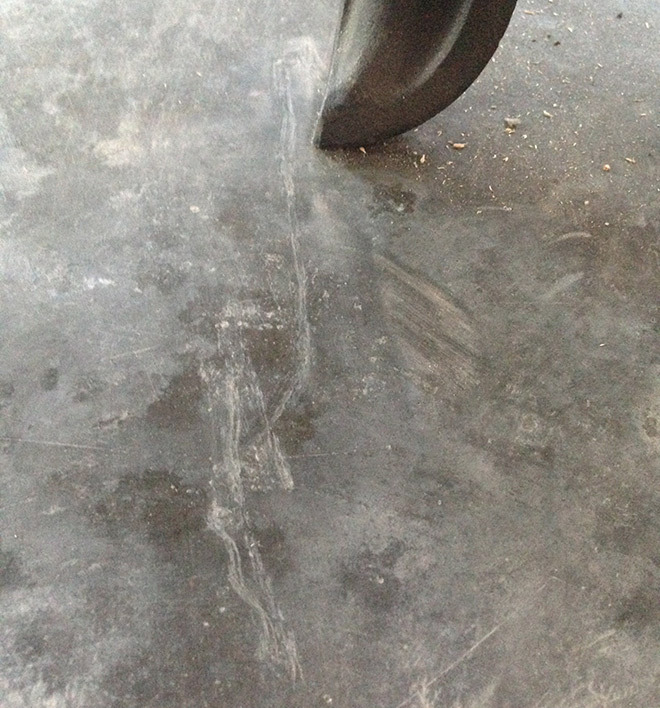 I measured it out on the ground and it seemed pretty small to me initially. Cozy, let’s say it seemed cozy to me. It came in at 177 square feet. We wanted to be able to go and hang out in the wintertime in it so we needed to have some type of heat source. An electric space heater is just not as quaint and ambient as a wood burning stove though. Because the space was small, we needed an equally small fireplace. And so my hunt began for the world’s smallest fireplace (that didn’t cost a a small fortune). We found some pretty cool fireplaces. 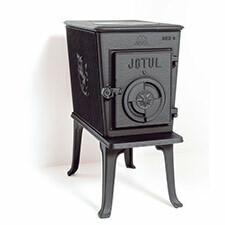 One company from Sweden called Jotul (pronounced “Yo-tel”) we’d seen when we were in New York state this past spring. 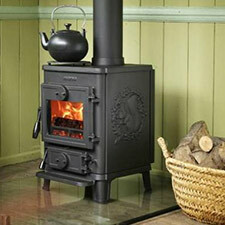 They make really beautiful cast iron heritage-type Scandinavian stoves. 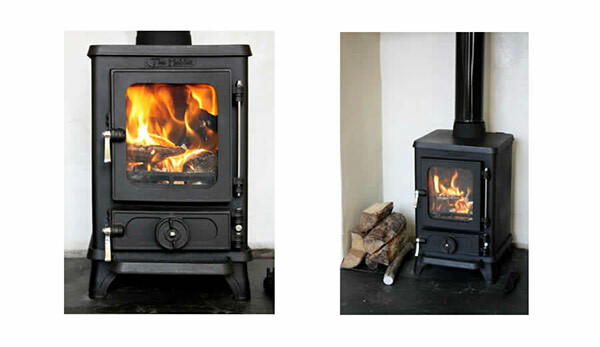 This one, the Jotul F602 was great – only 12.5”x19”. That’s pretty tiny! But unfortunately the long side would be jutting out into the room all awkwardly. Plus the price came in at $1300 + tax. Sorry Jotul, maybe next time. As the search continued, I found another Scandinavian fireplace company that I liked even more: Morso. This was an even cooler Scandinavian company with even nicer fireplaces than Jotul. This little guy, called the Morso 1410, was so sweet. Plus it had a fancy little squirrel on the side! And you could boil tea on top! And, and it was only 15.5”x17.5”. I was really excited about this stove. We search their website and found that there was actually a dealer in Prince Albert, SK, of all places. We requested a quote… $2300. Frick. 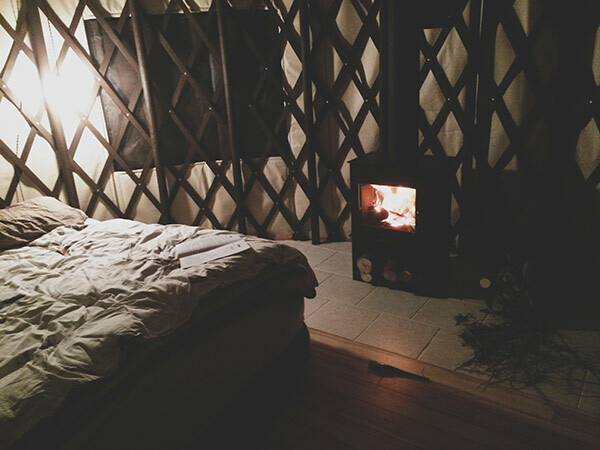 How could I justify spending that much on a fireplace for the yurt. The cost of the yurt was not that much more than the fireplace. Even still, the squirrel almost had me convinced. I was starting to get a bit bummed out about the cost and options for small stoves. In my desperation, I started googling “world’s smallest stove”. Wouldn’t you know that there’s a stove called “The Hobbit”. It’s only 12”x12”! Sure it needs extra mini logs, but it had the “The Hobbit” in the same typeface as “The Hobbit Movie” scrawled on the top. I started composing an email to the company asking for a quote and shipping cost and how soon we could get and so on and so on. Darcie, finally couldn’t take my insanity over finding a tiny stove. “What do people use for ice fishing shacks or campers? There has to be somewhere we can buy a small stove locally.” She’s always so logical. “Yea, ok, whatever, I’m busy,” I replied as I composed my lengthy email to the Hobbit stove guys. Meanwhile, she started searching Rona, Home Depot, and Canadian Tire. You know, boring places. Oh, um, that’s actually pretty nice. And it would totally fit given that the yurt is a circle the width didn’t matter as much as making sure it was not too deep. Sure it didn’t have a squirrel embossed on the side and it wasn’t a super cool Scandinavian company. But it was only 800 bucks and there were two in stock just down the street at Canadian Tire. Good ol’ Canadian Tire. You can’t go wrong! 10 minutes later this affordable little non-Scandinavian stove was in the back of our truck. Now I like fire. But putting together a chimney made me a bit nervous. As with everything else we’d been doing… I had no idea what I was doing. 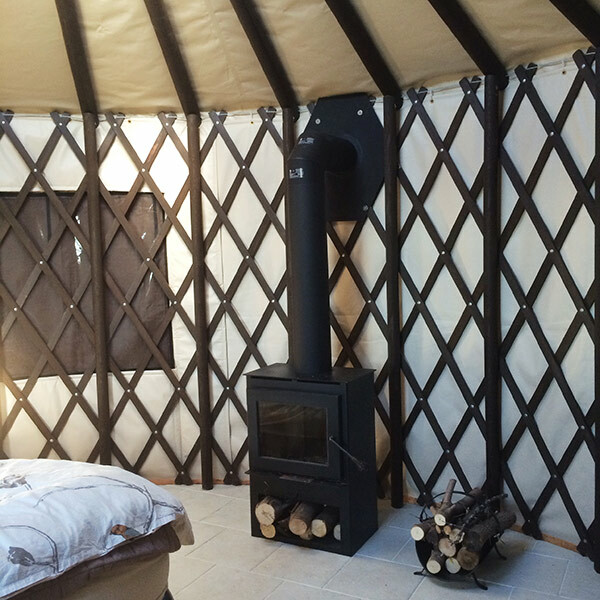 I’d been sent instructions with the yurt on how to install a fireplace and chimney system. And the instructions with the fireplace were also quite thorough. I needed to get good quality double-walled stove and chimney pipe. I didn’t want to mess around buying something cheap. I decided to go to a legit fireplace shop. They’d know what they’re doing, right? Wrong. They’re idiots! 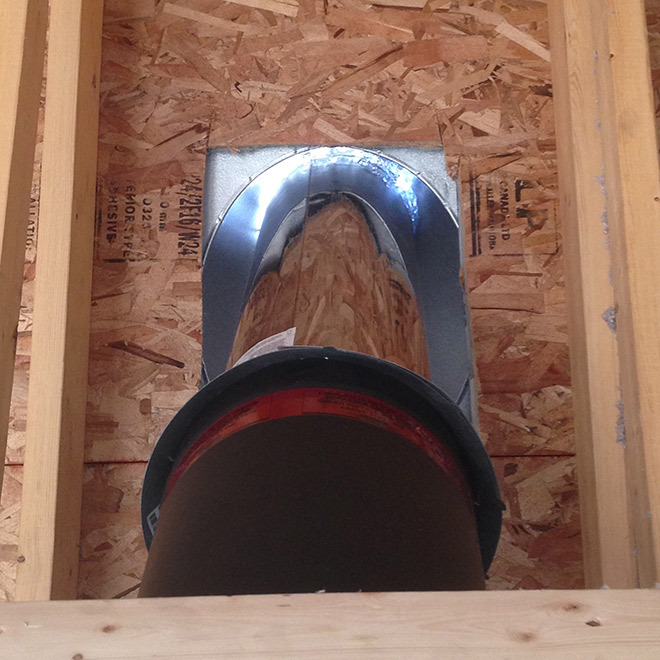 I, at least, watched some YouTube videos on how to put together a chimney pipe. You would think these guys would at least be able to have an intelligent conversation about it. I went to the shop and asked the fellow if he could confirm the components I needed. “Uh, ya, I guess that’s it.” That wasn’t really the vote of confidence I was looking for. I bought the stuff even so and set off to put it together. As I unpacked the boxes, I quickly realized that I was missing the pass through for the wall and support base and brackets for the chimney (I’d specifically asked for all of this). The next week I went back. “I’m pretty sure I need these support brackets,” I said. “No no, you’ve got all of the stuff you need,” he replied, making me out like I was the idiot. Not wanting to seem like an idiot (in case I was), I took the wall pass-through and left. This time, I decided to try and put it together like this guy had suggested. Really there was no turning back at this point. I measured it out and cut a whole through the yurt wall. Well, I guess that’s the point of no return, I thought. I started putting the pieces together… frick. As I started to hoist the chimney pipe (about 8 feet tall and roughly 40 lbs), I realized, as I’d suspected, that there was absolutely no way this is going to be self-supporting. I’d watched YouTube for goodness sake! And YouTube said I needed support brackets. It also really did, there was no way this would hold. So I taped the hole shut and went back to town. Again. Third time.